Although Anaerobic Digestion has been around for decades, many farmers have not heard of it. This article looks at both the process and the main advantages of anaerobic digestion. Anaerobic digestion is the process of fermenting organic materials in a sealed tank without oxygen for a prolonged period of time. Through doing this, two by-products are created: methane-rich gas (biogas) and a nutrient-rich fertiliser (digestate). The methane created by this process can be used to produce energy for either industrial or domestic purposes through powering a generator. Some sites even purify the methane, add propane and odoriser, and use the energy for cooking or heating in the home through pumping onto the National Grid. 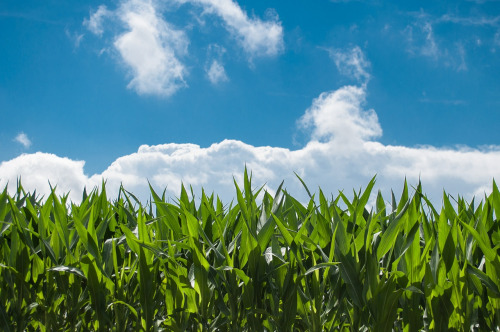 Plants with a high calorific value will extract the most methane during anaerobic digestion, so crops such as maize, grass silage, rapemeal and wheat are among the best crop to use. Food waste, slurry and manure can be used too, which gives the perfect opportunity to dispose of your waste in an efficient and environmentally-friendly way. This also prevents waste from filling up landfill. Digestate can be used as fertiliser and soil conditioner as it contains nitrogen and potassium, both being plant nutrients that can significantly improve growth. It is made from dead micro-organisms and remaining indigestible material during the anaerobic digestion process. It can be used straight from the digester or separated into liquor and fibre. By using digestate instead of synthetic fertilisers, you can save energy, reduce your carbon footprint as well as decreasing fossil fuel consumption. As none of the potassium, phosphorous or nitrogen is present in the biogas after anaerobic digestion, all of these nutrients are present in the digestate. Biogas can either be combusted to make heat and electricity, or as mentioned earlier, can be purified and pumped into the mains gas grid or used as road fuel. You can find more information on how to use biogas for heat only purposes, electricity only purposes or to create combined energy at Biogas Info. The variables that can make a difference to the yield of biogas differ depending on the feedstock you use (crop, waste, manure etc. ), as well as the length of time left in the digester. The purity and the energy left in the feedstock will make a massive difference in the yield of biomass, so if your feedstock has been left in storage for a long amount of time it may have already started breaking down. This table shows the potential biogas yields of 22 feedstocks that are commonly used for anaerobic digestion. There are many benefits to using anaerobic digestion as a means of waste disposable and energy creation. Biomass helps to reduce fossil fuel use, and decreases greenhouse gas emissions. This means that you are not only creating a cost-efficient way of creating energy, but decreasing your carbon footprint and helping the environment. You can find even more information on what anaerobic digestion means for farms and local communities in this article that we wrote for Farming Futures. Excellent. The best way is biogas/biofiel/biochar from care free growth,regenerative CAM plants like Agave and Opuntia. These can be grown on a massive scale in wastelands in developing countries. Developing countries should concentrate on Bio energy because of vast wasteland available,employment generation and Carbon sequestration. These plants will act as Carbon Sink.